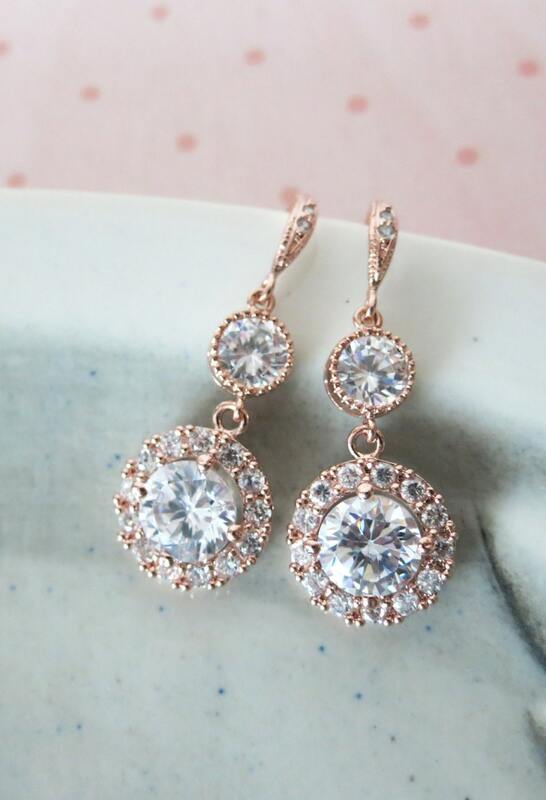 Rose gold plated round cubic zirconia ear posts with a luxe halo style cubic zirconia round drop (13mm). 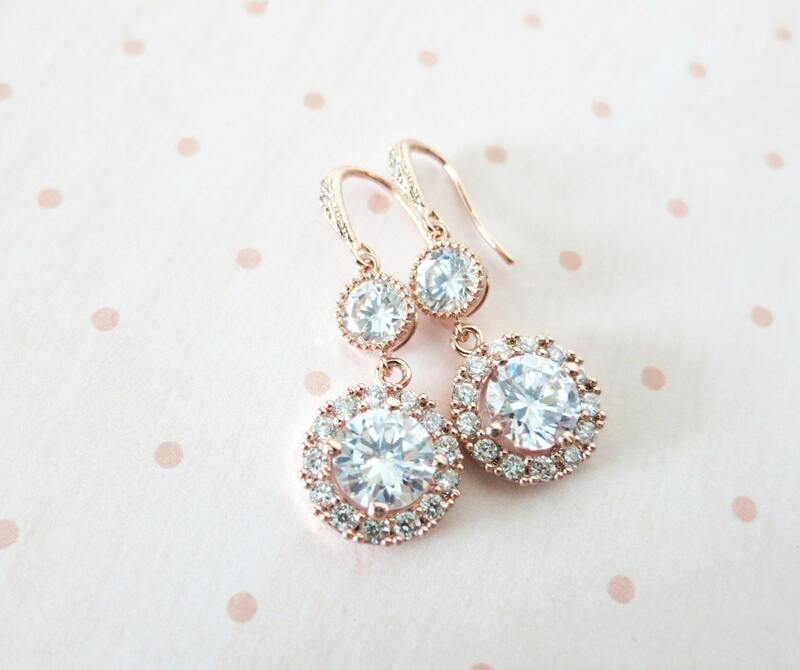 Both the ear posts and the teardrop are encrusted with sparkly cubic zirconia all around. 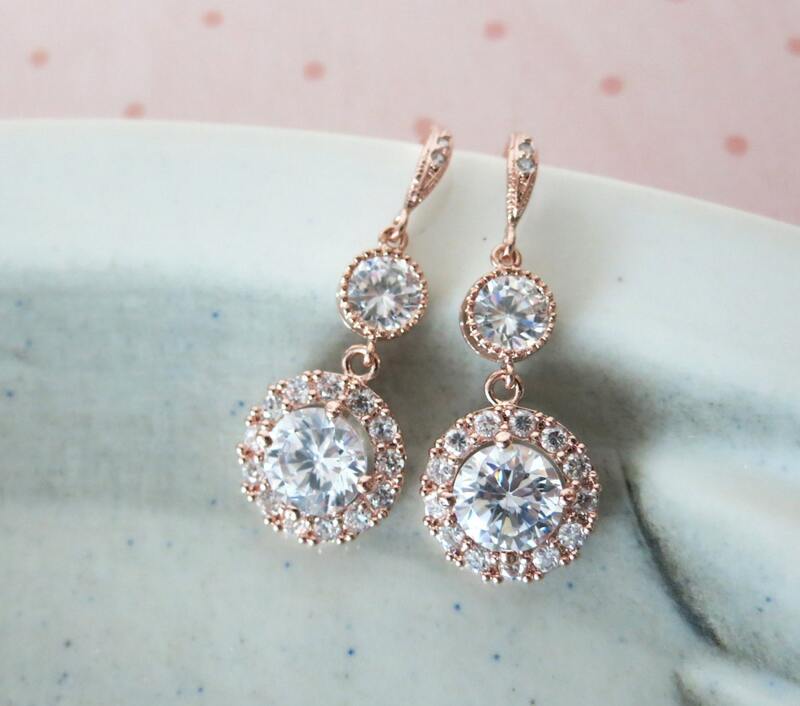 The luxe cubic zirconia round drop not only has a big cz stone in the middle, but surrounded by tons of small round cubic zirconia. 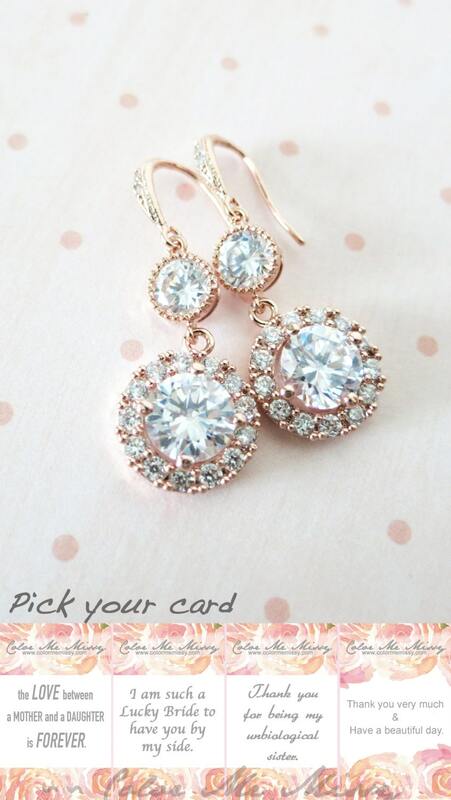 Seriously, how much more sparkle can we ask for. 925 sterling silver ear posts. Nickel Free.